A famous entertainer and pianist Liberace made a name for himself with his extravagant wardrobe and matching ornamented pianos. 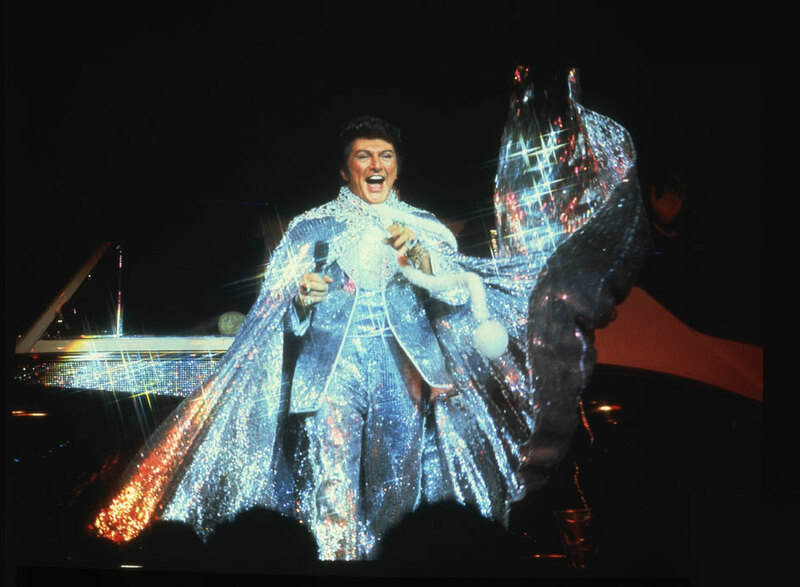 During the 1950s through the 1970s Liberace was the highest-paid entertainer in the world. In 1955 he opened the Las Vegas Riviera Hotel and Casino as the highest paid entertainer in the city?s history, earning $50,000 per week. Not only did Liberace amaze audiences with his elaborate costumes he stood out as an entertainer because of his compassion for his fans. He transported his audiences to a dazzling world of color, joyful music, glittering costumes and humor. He reinvented the typical classical music concert an gave his audiences an experience that earned him the monicker ?Mr. Showmanship.? Throughout his career Liberace won numerous accolades including: Instrumentalist of the Year, Best Dressed Entertainer and Entertainer of the Year. He also earned two Emmy Awards, six gold albums and two stars on the Hollywood Walk of Fame. He is listed in the Guinness Book of World Records as the world?s highest paid musician and pianist. Liberace opened his museum in April 1979 as the key source of funding for the Liberace Foundation. He created his foundation in 1976 to benefit college students studying in the performing and creative arts. When Liberace passed away in February 1987 he left the majority of his estate to the foundation. Aside from getting to learn about the famous entertainer and see some of his lavish costumes and cars up close, guests who visited the museum helped donate to the foundation through their admission. Since its creation the foundation has awarded more than $6 million in scholarships to 2,700 students. The good news is that Liberace?s collection including his exotic cars and a million-dollar wardrobe will still see the light of day. The memorabilia will continue to be maintained, and a national touring exhibit is being planned. The Liberace Foundation will also still continue to operate and raise money for scholarships. It?s sad to say good-bye to this piece of Las Vegas history, but there?s still time to make one last trip to the museum and experience all the glitz and glamour that made Liberace an entertainment icon. Sad to hear this, that musuem is a piece of Vegas history.